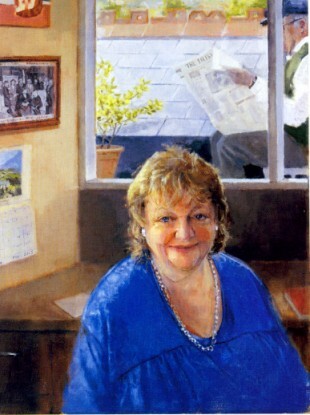 Binchy’s long-term agent Christine Green said it was a bittersweet day because “we want to celebrate the book but we want her to be here too”. EVEN BEFORE MAEVE Binchy’s final book A Week in Winter hit the shelves it already topped Amazon’s list as the most pre-ordered book ever. The Dubliner was working on its final draft with her editor Carole Baron and agent Christine Green when she died in July aged 72. The publishers of the book Orion anticipate that it will be Maeve’s biggest book with Amazon yet as it has already become the most pre-ordered book ever. It has more Kindle pre-orders than copies of hardback but the publishers say that both figures are very high, especially when compared to her previous books. Speaking to TheJournal.ie Binchy’s long-term agent Christine Green said it was a bittersweet day. It feels bittersweet because we want to celebrate the book but we want her to be here too. We are all very proud. This book is vintage Maeve. It’s a wonderful story, full of warmth and humour with great characters and a great setting. The novel is set in the fictional village of Stoneybridge in the west of Ireland. The characters of the book are guests who would otherwise never be put together but find themselves enjoying a winter break in each other’s company in the big, warm hotel with log-fires and elegant bedrooms. The book won’t have an official launch party as Green says “it’s too soon” since she passed away. Her husband Gordon [Snell] won’t be doing anything like launches to mark the book officially because really it feels too soon. Maeve’s health has been so low for the past few years anyway so we didn’t have many parties to mark her books but we will raise a glass in private in honour of her. Binchy has sold more than 40 million copies worldwide and had her books translated into 37 languages. Her two most popular novels were adapted into films. Circle of Friends was a 1995 film starring Chris O’Donnell, Minnie Driver and Tara Road was made into a movie starring Andie McDowell and Olivia Williams. Email “Maeve Binchy’s final book tops Amazon’s pre-order list”. Feedback on “Maeve Binchy’s final book tops Amazon’s pre-order list”.